When I was in high school, my algebra teacher always told me that if I had been born when she was, I would’ve been one of the flower crown wearing hippies of the time. It was never something I thought much about seeing as how I didn’t even really smoke weed until I had left high school (I tried once or twice but we were young and the aluminum can wasn’t that appealing to me). But she made that comment a few times over the course of my last year in high school and it never really struck me as anything important until now. The hippies were the “rebels” of their generation. They weren’t going to be forced in to going along with mainstream culture and they didn’t listen to their parents. War wasn’t something they wanted a part in, they just wanted to chill and do drugs with their friends. They lived in small studio apartments in the city with obnoxiously high rent and mostly lived paycheck to paycheck, not far off from what the millennial generation does today. 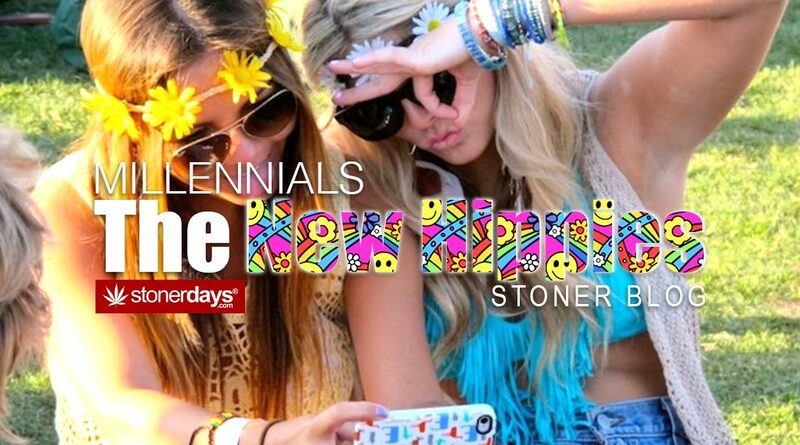 Us millennials call things by different names; ecstasy is called Molly, LSD is acid, and people love mushrooms again. Even those of us who went out and got “real” jobs still enjoy a blunt after a long day of work and those who don’t have “real” jobs spend time goofing off and still trying to figure out what to do with their lives (we’ll hopefully have that figured out by age thirty). Millennials always reminisce about the 60s and 70s. Those were the times to be alive but if you really think about it, those times are repeating themselves now. We have serious issues to deal with now just like there was then, such as the approaching election in November or the racial issues that still divide our country. But when we aren’t having panic attacks about the future and the violence in the world, we spend our time at festivals and parties or with our friends, trying as hard as we can to continue to feel young for as long as possible and trying to avoid letting the sourness of the world engulf us. It’s 2016. The millennial generation will soon be the ruling force in the country and hopefully, we can do some things better than the Baby Boomers before us. We’ve already done big things; we made weed legal after years of prohibition. We have lobbied for cannabis and have been arrested for it. We have seen our friends and family go to jail for trying to help themselves and others by providing natural medicine. But we’ve seen studies released that show cannabis can help to treat cancer, glaucoma, Alzheimer’s, PTSD, depression, migraines, anxiety, ALS, multiple sclerosis, and the list keeps going. We’ve proven that stoners aren’t lazy, stay at home losers. We’ve changed the minds of Baby Boomers and those suffering from Reefer Madness. We’ve come a long way. This entry was posted in Featured, Stoner Blog and tagged hippies, millennials, stoner.